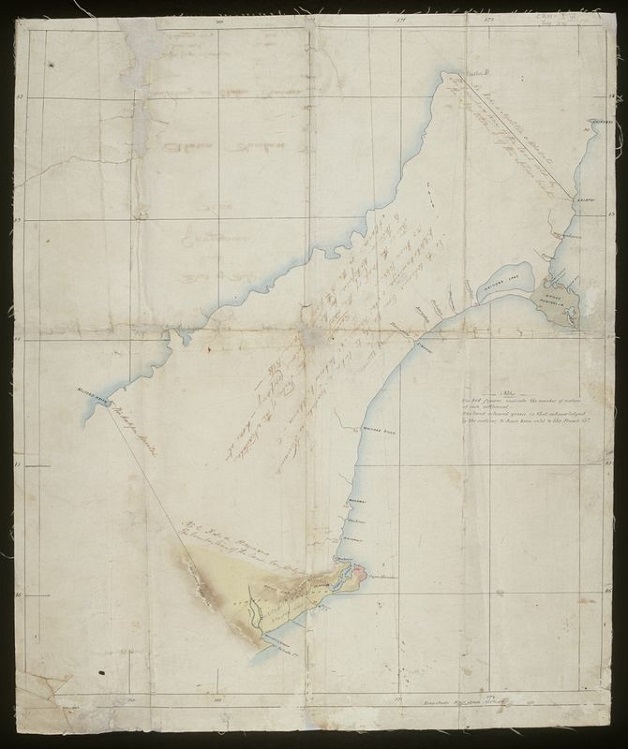 The Canterbury Purchase, commonly referred to as Kemp’s Deed, was signed by a group of Ngāi Tahu chiefs on board the HM Sloop Fly in Akaroa Harbour on 12 June, 1848. It was the largest of all the Crown purchases from Ngāi Tahu and the least carefully transacted. In 1848, Henry Tacy Kemp, acting on behalf of the Crown, purchased 13,551,400 acres of land for £2,000. The boundaries were not well defined at the time, and the exact area purchased by the Crown has always been a contentious issue for Ngāi Tahu. In any event, it is important to note that out of that massive acreage, the area that the Crown set aside for Ngāi Tahu was a meagre 6,359 acres. This was despite a directive from the Crown to Kemp to “reserve to the natives ample portions of land for their present and prospective wants”. At the time Ngāi Tahu signed the deed of sale they were under considerable pressure to do so. The previous year the Crown had “purchased” a large area of Ngāi Tahu land from Ngāti Toa under the Wairau Deed. As a consequence of that action, Ngāi Tahu felt compelled to sign Kemp’s Deed in order to confirm their mana over the remaining land. Under the terms of the deed of sale, as well as receiving an undertaking that adequate reserves would be set aside “for their present and future wants” and the provision of schools and hospitals, the Crown promised that all of the Ngāi Tahu mahinga kai areas would be set aside for them. Not only did the Crown fail to set aside adequate reserves for Ngāi Tahu (the average area being 10 acres per person), but the Crown also determined that mahinga kai sites were restricted to those areas currently under cultivation as gardens, or the places where there were fixed structures such as eel weirs. As a result, Ngāi Tahu lost ownership and control of, and access to, all of their traditional mahinga kai.